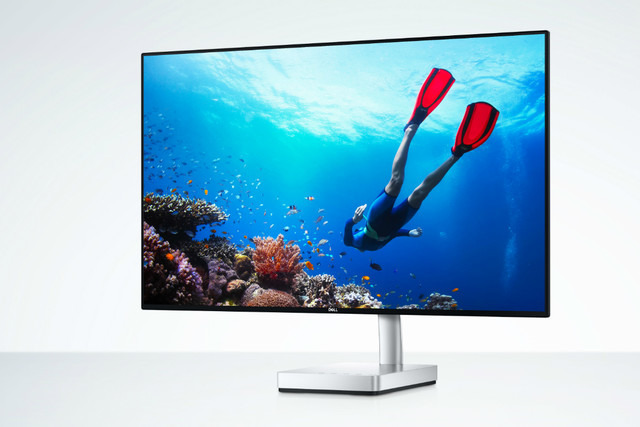 A trio of monitor makers have announced new USB-C-based displays coming later this year, with LG, Dell, and Lenovo throwing their weight behind the new all-in-one connector found on Apple's 12-inch MacBook and new MacBook Pros. At this week's Consumer Electronics Show, Dell announced its 27-inch Ultrathin S2718D display, which the company is touting as the "world's overall thinnest monitor." While it's not as powerful as LG's UltraFine 5K, and it's not even 4K, the Dell Ultrathin offers Quad HD with a resolution of 2,560 by 1,440 pixels. The display covers 99 percent of the sRGB color gamut, and it is equipped with Dell's InfinityEdge technology, so the bezel design on the display is almost absent. The monitor can connect to Apple's new MacBook Pro as well as the 12-inch MacBook via a single cable. It also offers power delivery - but users only get 45W of it - so you won't be able to charge the new 13- and 13-inch MacBook Pros from the display itself. Other connections on the S2718D include one HDMI 2.0 port and an audio line out. 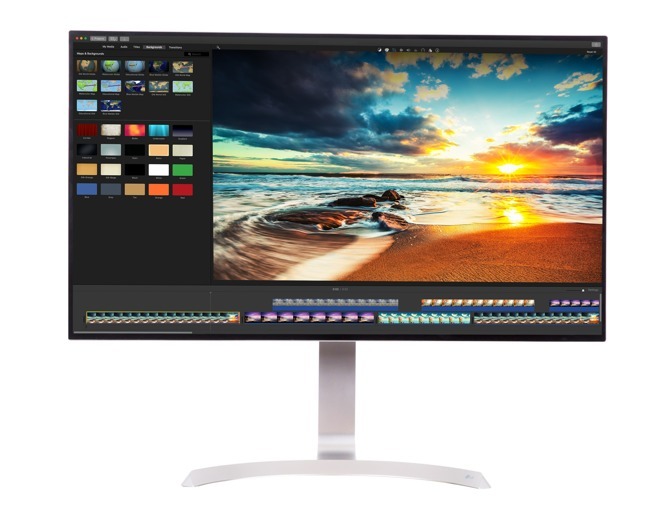 It should be available March 23 for $700 in the U.S.
LG also announced the 32UD99, a 32-inch IPS display with a 4K Ultra HD resolution of 3,840 by 2,160 pixels. The display supports the HDR10 standard and covers more than 95 percent of the DCI-P3 color gamut. LG says it offers a "True Color Pro" setting for "color reproduction accuracy unmatched in the industry." It also can connect to Apple's latest MacBook Pros, as well as the 12-inch MacBook, via USB-C. The monitor's built-in speakers will feature LG's "Rich Bass technology" and the design will utilize the "slim ArcLine stand." Pricing and availability have not yet been revealed. 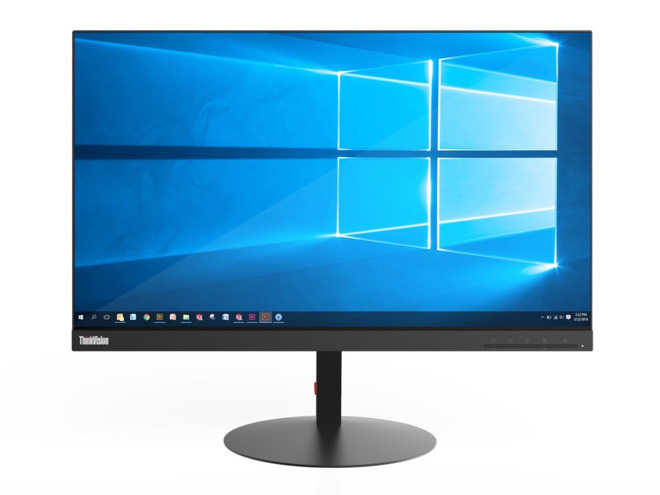 Finally, Lenovo also revealed two new USB-C based options: The 27-inch ThinkVision P27h and the 23.8-inch P24h. Both monitors are QHD, IPS panels with a resolution of 2560 by 1440 pixels and offer nearly 100 percent of the sRG color gamut. The monitors will also have 6ms response time. Design wise, Lenovo's displays are also almost bezel-less. HDMI and DisplayPort will be available inputs along with USB-C —with a total of four full-sized USB ports. Thanks to 10Gbps bandwidth found in USB 3.1 users can also utilize the DisplayPort out to a second display. Both displays are expected to arrive in March, with the P27h display costing $329, and the P24h at $259. See AppleInsider's ongoing coverage of CES 2017 for more Apple-connected devices announced at this week's Consumer Electronics Show.